Celebrating 6 happy years of marriage! — . Celebrating 6 happy years of marriage! 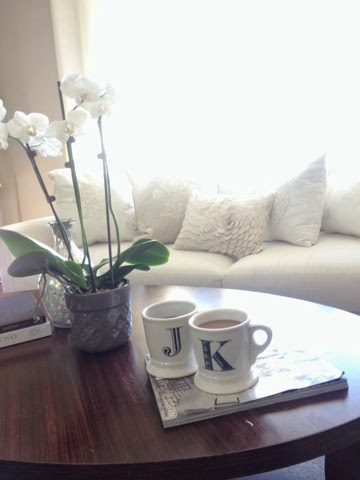 This morning I gave my husband matching coffe mugs as a small anniversary gift. We sipped our coffe and watched our kids laugh and play! My three year old son made a fort with our couch cushions and made the baby laugh! 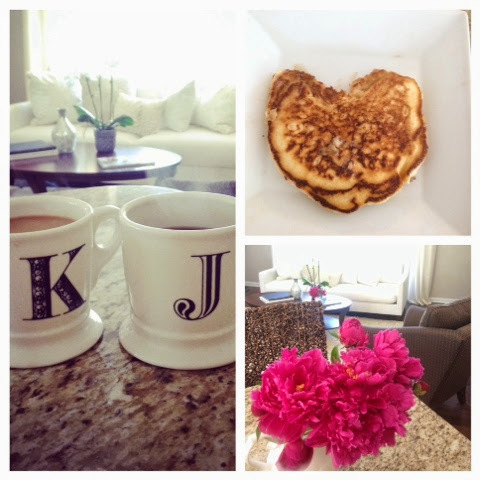 My husband made heart shaped pancakes and we all sat together to watch our wedding video ... Start to finish! 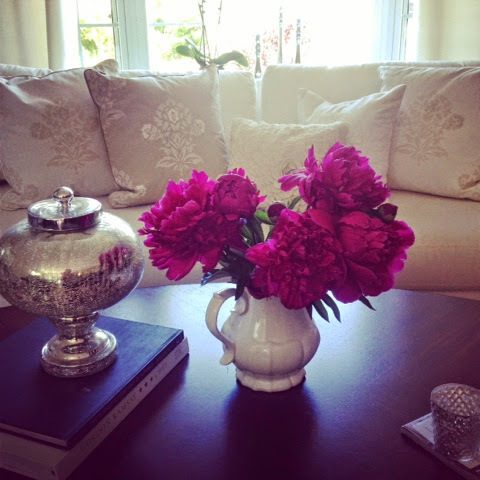 I then picked the peonies from our yard ! They were our wedding flower and smell just like our wedding day ! They bloom on our anniversary every year ! How lucky is that!?!?!?! Tonight we will be going out to dinner for the first time in almost 6 months since the baby was born! Can't wait to have adult conversation and reminisce about all we have experienced together these past ten years together and six married! I couldn't have picked a better person to spend this life by my side ! Feeling very blessed and grateful today!